Makeda Best is the Richard L. Menschel curator of photography at Harvard Art Museums since January 2017. She has master’s and doctorate degrees from Harvard University in the Department of History of Art and Architecture. Best oversees the extensive photography collection, which traces the development of the medium from its earliest days and include examples of contemporary photography. Best was previously assistant professor in visual studies at the California College of the Arts, specializing in the history of photography. She has also played an ongoing role as a chief adviser and writer for Lens: Analyzing Photographs Across the Curriculum, an online multimedia learning platform promoting the multidisciplinary use of photography in middle and high school classrooms, produced by Oregon Public Broadcasting and Annenberg Learner. Best has also worked at the San Francisco Museum of Modern Art as an assistant curator and graduate fellow; there she worked on numerous exhibitions, conducted gallery talks and symposia, and contributed new, insightful research on objects in the collections. Best’s scholarly interests focus on the photobook as well as on documentary and war photography. Her past teaching experience includes serving as assistant professor in the Department of Art and Architecture at the University of Vermont, where she developed museum-based learning courses in the history of photography and American art. Best earned bachelor’s of fine arts and master’s of fine arts degrees in photography from the California Institute of the Arts, studying under photographer, writer, filmmaker, theorist and critic Allan Sekula. She also received a bachelor’s of arts degree in history and art history from Barnard College. 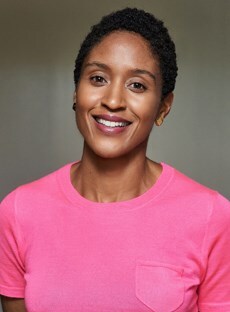 She has received fellowships and grants from numerous institutions, including Duke University’s David M. Rubenstein Rare Book and Manuscript Library; the Museum of Fine Arts, Houston; the Smithsonian American Art Museum; the Phillips Collection; and the Andrew W. Mellon Foundation. Between 2013 and 2016, Best served on the College Art Association’s Museum Committee, and was recently appointed to serve on the association’s Education Committee.